This course covers the fundamental concepts of measurement and instrumentation. Through theory, lab assignments, and project design using NI ELVIS III, students will learn about various types of sensors and when to use them. Students will be given design requirements and will determine which sensor is best suited for the requirements. Students will learn about the different stages of taking a measurement, including signal conditioning and how to prepare the signal for processing, analog-to-digital converter and sampling characteristics, software processing and analysis techniques, and displaying the data. Upon completing this course, students will know how to take measurements of real-world phenomena, a skill that is crucial in all engineering disciplines. Given a measurement need, students will interpret which signal characteristics need to be measured and select an appropriate sensor based on sensor specifications. 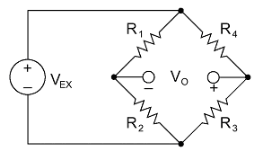 Students will be able to obtain a high-quality, digitized signal from a raw sensor measurement by designing and building an appropriate signal conditioning circuit and implementing data acquisition techniques. 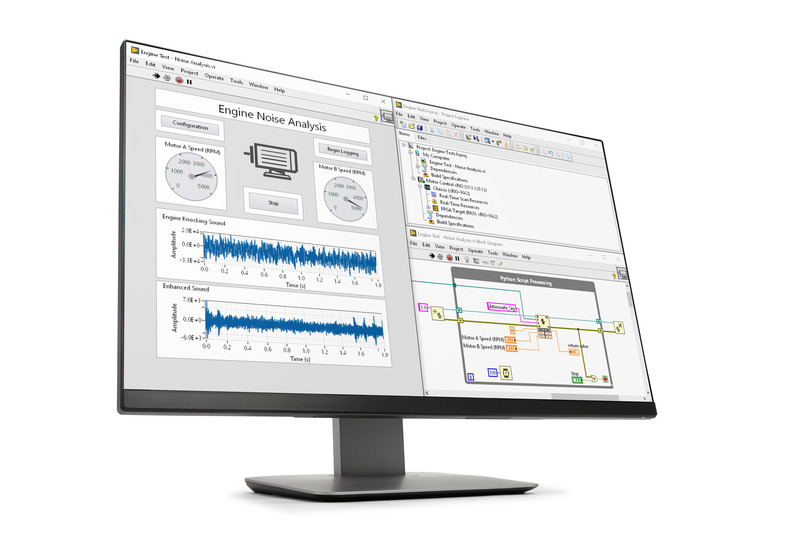 Given an acquired data set, students will be able to program a virtual instrument to perform and present analyses, and to draw conclusions based on the analyses' findings. Given a simple measurement need for a common physical phenomenon like temperature, strain, or pressure, students will be able to design and implement an appropriate measurement system, including sensors, signal conditioning, data acquisition, data analysis, and data presentation. In this lab, students will learn the characteristics of sensors and when to use them. Students will learn about the various signals used to measure the sensors. They will investigate an IR sensor by taking measurements, and later they will be given temperature and strain measurement scenarios with specifications and several sensor choices. Based on the specifications, the students will decide which sensor is best suited for the application. In this lab, students will learn the importance of signal conditioning in a data acquisition system. First, they will learn how analog signals are prepared for digitizing using various methods, including amplification, attenuation, and filtering. Next, students will learn about the different circuits that are used for signal conditioning. 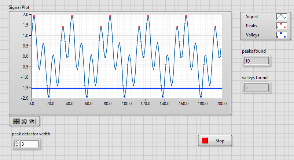 The students will design a signal conditioning circuit in a simulator and then verify their design using a sensor. Throughout the process, they will answer short questions to confirm their understanding. In this lab students will learn how analog signals from sensors are converted into digital signals using analog-to-digital conversion (ADC). Students will also learn about elements of ADC, such as sampling and Nyquist frequency. Throughout the process, students will complete hands-on activities and answer questions to confirm their understanding. In this lab, students will complete activities in data acquisition, including storing, analyzing and presenting data on a PC. They will learn how to extract information from the input signal using methods such as Fourier Transforms and statistics, so that the data can be presented and interpreted more easily. In this project, students will use methodologies outlined in the previous labs to design and implement their own temperature measurement system for a given measurement need. Students will determine the right sensor, signal conditioning circuit, ADC sampling, software approach, and analysis methods for the given measurement scenario. Once they complete the design, students will build and iterate on the measurement system and verify that the requirements were met. In this project, students will use methodologies outlined in the previous labs to design and implement their own strain measurement system for a given measurement need.. Students will determine the right sensor, signal conditioning circuit, ADC sampling, software approach, and analysis methods for the given measurement scenario. Once they complete the design, students will build and iterate on the measurement system and verify that the requirements were met. In this project, students will use methodologies outlined in the previous labs to design and implement their own force measurement system for a given measurement need. Students will determine the right sensor, signal conditioning circuit, ADC sampling, software approach, and analysis methods for the given measurement scenario. Once they complete the design, students will build and iterate on the measurement system and verify that the requirements were met. In this project, students will use methodologies outlined in the previous labs to design and implement their own vibration measurement system for a given measurement need. Students will determine the right sensor, signal conditioning circuit, ADC sampling, software approach, and analysis methods for the given measurement scenario. Once they complete the design, students will build and iterate on the measurement system and verify that the requirements were met. In this project, students will use methodologies outlined in the previous labs to design and implement their own displacement measurement system for a given measurement need. Students will determine the right sensor, signal conditioning circuit, ADC sampling, software approach, and analysis methods for the given measurement scenario. Once they complete the design, students will build and iterate on the measurement system and verify that the requirements were met. In this open-ended lab, students build a specialized measurement system for a device under test (DUT). Students will design, architect, build, and validate their measurement system based on a realistic test or monitoring application. 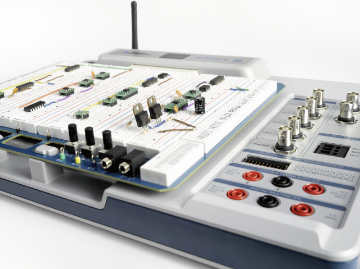 A set of components for sensor and signal exploration that complements the NI Educational Laboratory Virtual Instrumentation Suite (NI ELVIS) to enable teaching concepts in measurements and instrumentation. 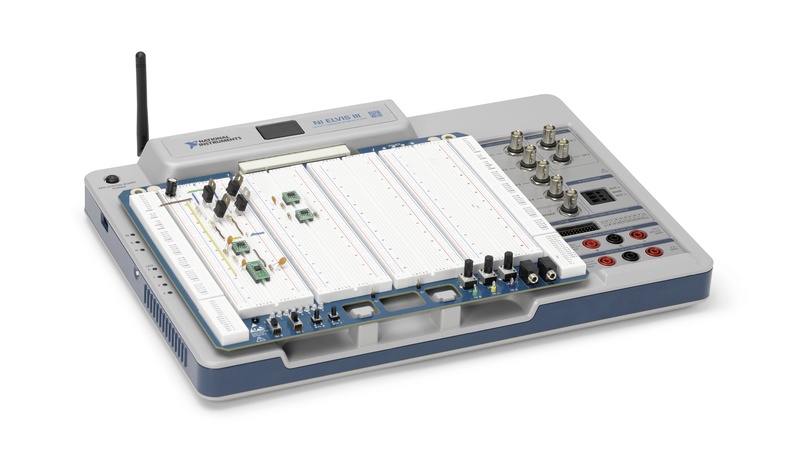 Multisim Live is an online, touch-optimized component of Multisim, so students can design and simulate their circuits anywhere, anytime, on any device.